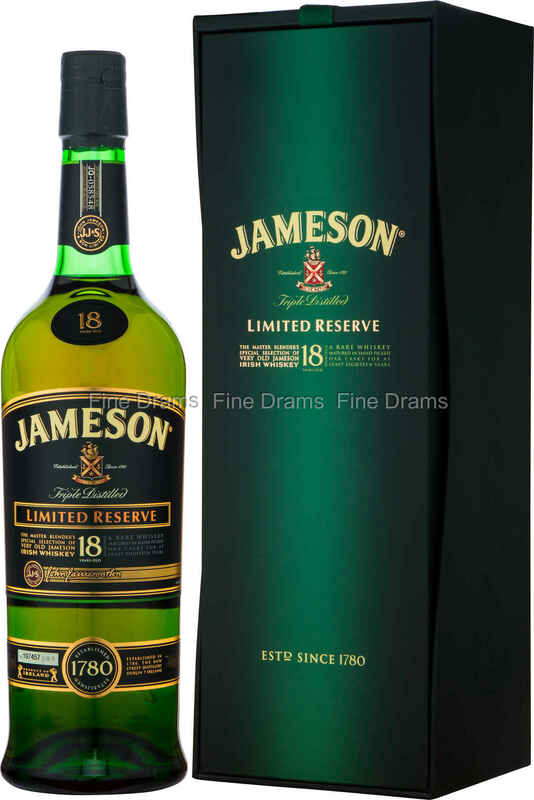 One of the very finest bottlings in the Jameson range, the 18 year old is an excellent example of just how good Irish whiskey can be. This is a fine blend of two potstill whiskies, with a little single grain in the mix too. The whiskey has been matured in Oloroso Sherry casks, giving it a superb dried fruit flavour, before a finishing period of 6 months in bourbon casks, producing a more pronounced vanilla and malty toffee flavour. One of the best whiskies to come out of the Midleton distillery, this whisky picked up a gold medal in the 2017 Irish Whisky Masters of 2017.